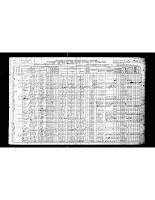 HeritageQuest Online is an essential research tool that often gets overshadowed by Ancestry.com. It's wonderful collection of unique material for genealogists and the historical researcher. It's comprised of census records, more than 20,000 book titles (both family and local histories), primary documents, including city directories, tax lists, probate records and more. Military records are also part of the collection, dating back to the American Revolution and the Freedman Bank Records, is considered on of the most important resources for African-American genealogical research. Best of all, you can access this database from the comfort of your own home. Visit our library's homepage at: http://www.thehuntingtonlibrary.org/, click on our databases, than click on Suffolk e-resources. Scroll down and click on HeritageQuest. With your valid library card number and password you can begin your research.